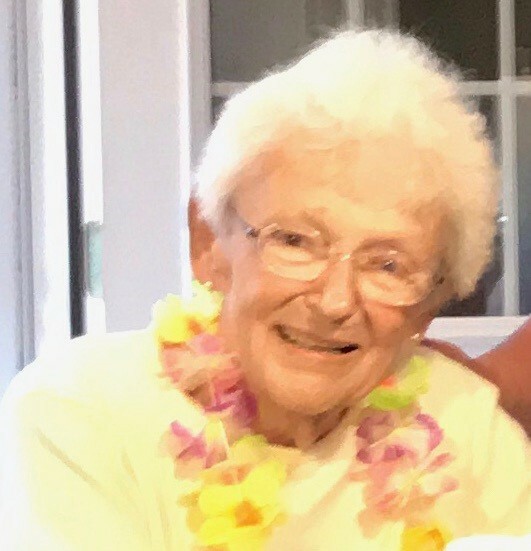 ANITA (BOISSE) PELOQUIN 1931-2019 CHICOPEE- Anita (Boisse) Peloquin, 87, of Chicopee, passed away at the Mercy Medical Center on Sunday, April 7, 2019. She was born in Chicopee on June 15, 1931, daughter of the late Hormidas and Annette (Cliche) Boisse. She held many jobs throughout the years, working at Spaulding and Dielectrics but she was most proud of her long time employment and retirement from the Chicopee School Department/Cafeteria. Anita loved animals and was a wonderful crafter who enjoyed sewing, knitting, crocheting, and painting. She was predeceased by her beloved husband Roger Peloquin in 2002. Anita will be missed by her daughter, Ann Brough and her husband John of Pace, FL; several nieces and nephews, including a special niece Nancy and her husband Brian Connors, her aunt Rita Boisse of OOB, ME; and her feline companion Lizzy. Visiting hours will be held on Sunday, April 14, 2019 from 2-5PM at Brunelle Funeral Home, 811 Chicopee St., Chicopee, MA. Her funeral will begin at 8:45AM on Monday, April 15, 2019 from Brunelle’s with a Liturgy of Christian Burial at 10AM in St. Rose de Lima Church, 600 Grattan St., Chicopee with the Rite of Committal and Burial to follow in St. Rose de Lima Cemetery. In lieu of flowers, donations in Anita’s name may be made to PAWS of New England, PO Box 542, Ashland, MA 01721. For more details please visit www.brunellefuneralhome.com.